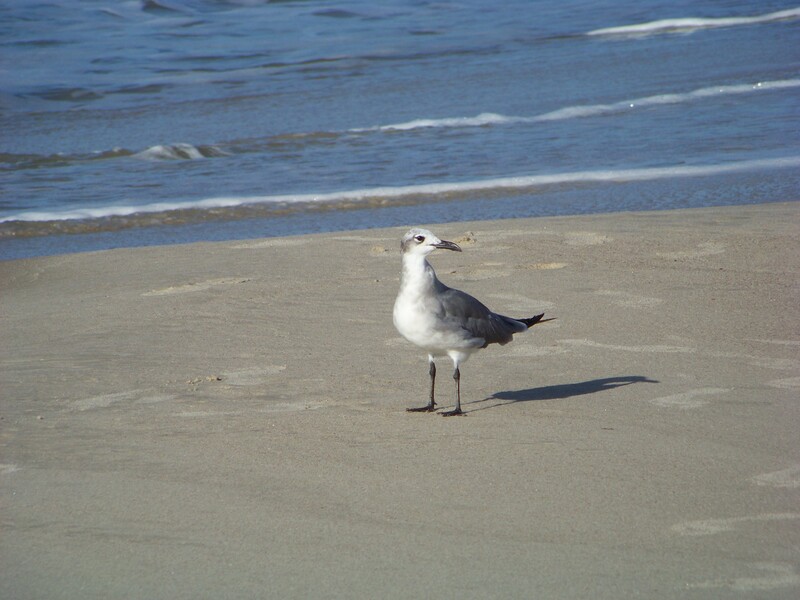 The waves crashing at my feet put me in more than one relaxed trance while vacationing at the beach last week. My husband likes to fish in the early morning when the sun comes up, and late afternoons as the sun goes down. I’m not a fan of swimming while he chums the water with disgusting cut up squid, so I sit in the surf to keep him company. That means I’m reading a book or doing some writing. Well. That means I take a book or journal with me to the water’s edge, hopeful, but not always successful. The rhythmic waves that cool my legs and bury my feet in the wet sand — the gentle breeze that softly tickles the tiny hairs on my arms and neck — the bright sun that makes me squint and half-close my eyes into a dozing state — that’s the cocktail par excellence for relaxation. I relaxed a lot, and he caught some fish. Mostly, though, he just fed the fish a bunch of squid. I did get some reading done, but it’s a shame I didn’t read more. I also got some writing done. In fact, quite a bit went into my journal in spite of the occasional splash that sent my arms up protecting the book from the water. I must have looked like a crazy woman randomly calling “touchdown” when a big wave hit. It’s a good thing the beach was empty although the seagulls started looking at me suspiciously after a while. I prayed a lot, too. It was easy to do in such a setting, devoid as it was of all distractions I ordinarily give into. I’m embarrassed by that realization — it looks like I turned to prayer because there was nothing good on TV. Because I didn’t have internet or cell service. Because, perhaps, I didn’t have anything better to do. I’ll have to do a deeper examination of conscience, for sure, but there’s more to the story. It’s impossible for me to contemplate the natural world, whether it’s at the seashore or a mountain top, and not have my thoughts begin and end with God. I usually begin my mornings reading Magnificat. If nothing else, I get morning prayer in, even if on some days it takes me right up to lunchtime. I like the video reflection at the USCCB site. I try to get a rosary in for a coffee break, even if sometimes I need two coffee breaks to finish. So you see, I have a discipline for ordered prayer. 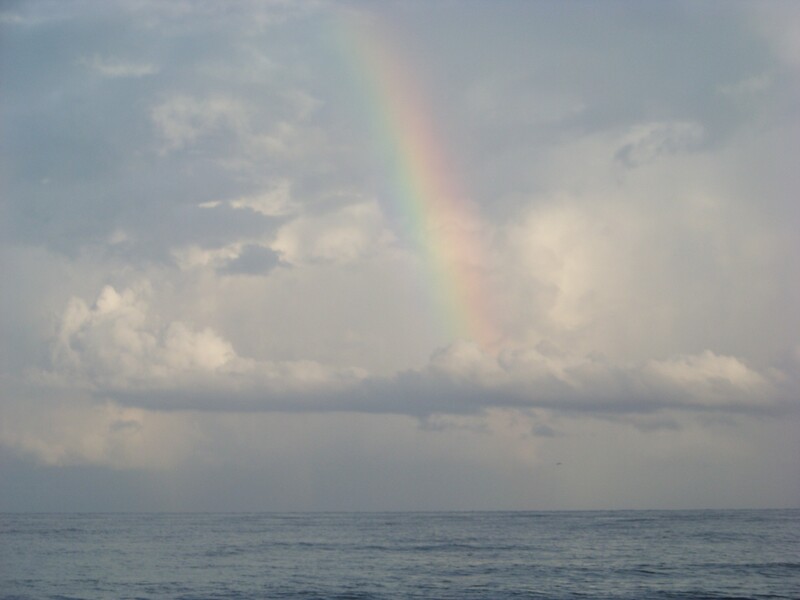 It was the other, spontaneous, conversational prayer that swept me up in the tide. It was those moments when a thought in my journal would spark a conversation with Jesus. When a line from scripture would leap to my mind, and I’d ask my heavenly Father if it was He leading me. It was the calming silence in the midst of crashing waves and screeching seagulls where I settled into a comfortable intimacy with the Holy Spirit, enveloped in the warmth of the sun and the breeze. And where I had an on-going conversation with Mary, sometimes counting beads, other times counting out shells in little piles of ten, but mostly, letting my mind wander absently. 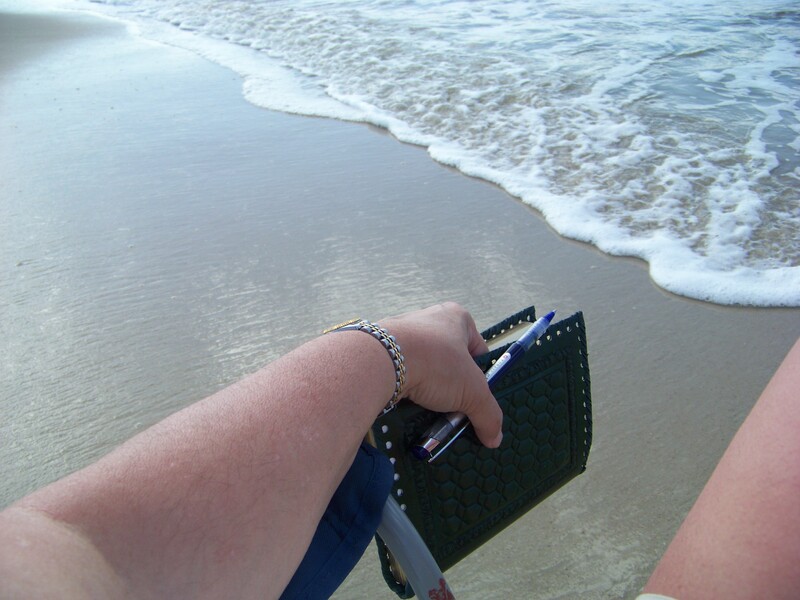 In one of those distracted moments a huge wave hit me and I lost the grip on my journal. Terrified that it would fall into the water, I flailed about a bit and caught it against my body, but not before some of my holy cards and bookmarks spilled out. 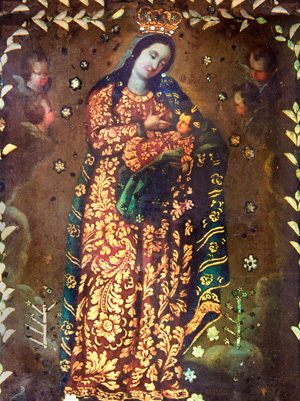 I saved all but one: a beautiful postcard of Our Lady of La Leche tumbled to my feet. The card folded into itself, creating a make-shift barge that cradled Our Lady within it. I reached for it, but a wave captured the card, taking it away from me toward some unknown destination down the beach. I laughed delightedly — it wouldn’t be the first time Momma Mary surprised someone at sea. I had the feeling it was like a message in a bottle, only better. I just realized that I left my bandana of Our Lady of Guadalupe hanging on the wall of my room at the seminary in Papua New Guinea. I’m a little sad about that but perhaps she’s on her own mission down there. She’s got a nice home, I’m sure. Most excellent! Thanks for posting this so I could read it over my morning coffee, which is just when I needed to read it.